There is so much good stuff here! I’ll have to read it multiple times to digest it all. The survey questions look like a helpful tool. Thanks for this, Melissa! Thanks Christina! 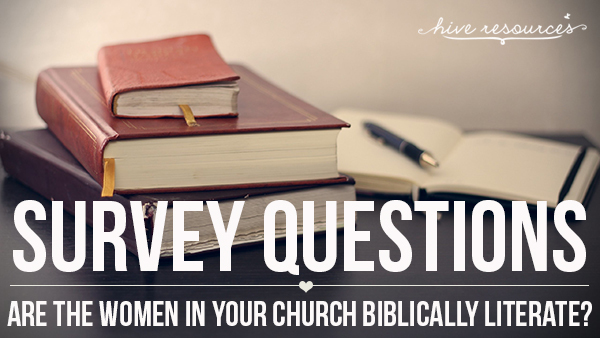 What is your favorite tool for Bible study? I bet you have a great toolbox! 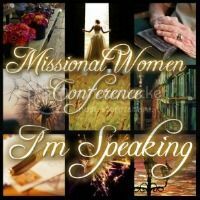 Our church has cycled through so many women’s ministry “programs” that did not bear lasting fruit. Now we are enjoying one of those “homework” Boble studies that is growing a core of Jesus-loving sister-loving women. Hallelujah! My favorite aid is the Blue Letter Bible app/program. Fabulous post!! 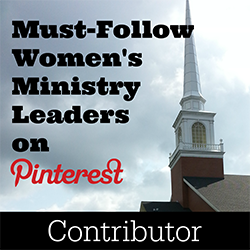 Thank you for the call for women’s ministries to get “back on track”. 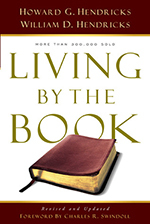 I am mid-way through the study “Read the Bible for Life” by George Guthrie. Our Bible study facilitator has chosen not to use most of the video segments, but is instead giving us opportunities to learn and share in small group discussion during many of our sessions. 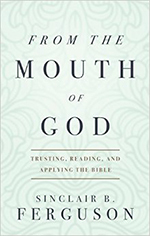 This study is unlike any I’ve ever done – in that it teaches us how to look at the historical, cultural, literary, theological, and personal context. Looking forward to hearing what other books are recommended! Cyndee, I will add some of those resources to my amazon wish-list! I love hearing what tools work for other people! And yes, context can change everything!!!!!! 3. I have in my collection: How to Read the Bible for all its worth by Gordon Fee and Douglas Stuart. 4. I also have the book by Warren on the 12 Dynamic Bible Study Methods which was my first book to guide me in learning how to actually study the Bible. It was my first and most beloved of all instructional books. That about sums it up for me on my tools. Gaye, thank you so much for sharing your wisdom! I hope everyone checks them out. I haven’t used Lumina much, but have heard of it. I really love Blue Letter Bible, but will start using Lumina this week to test run it! Thank you! I have books 3 and 4 on your list, too! Cannot tell you how timely this is. I lead a video driven Bible study and while I love my group of ladies, I do want so much more for them.. for us. I have done more indepth non-video studies with other groups (community group) and I’ve do that type of study on my own, but if I mention doing a non-video study my ladies balk. Praying about taking our study to another level. I will definitely be re-reading this and looking at the resources mentioned. In the meantime… I begin this week one-on-one disciplining a lady who is hungry and wants to learn to really study and apply the Lord. So thankful for this opportunity! Barbara! I am thankful the church has women like you, leading and loving on our sisters in Christ! Change is really hard. I will pray with you! Very excited about your new discipleship opportunity and hopeful you will get many more! Loving your wisdom in this post, Melissa! 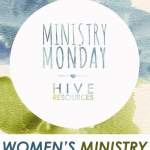 Packed full, to the brim, overflowing with challenges for all women’s ministry leaders. Thank you!!! The tool I used the most is my Key Word Study Bible which has words in the verses underlined with the corresponding Strong’s number included so that I can look it up in the back of my Bible. I LOVE this Bible. I also use the BLB app, as you all have mentioned, daily. Another tool I like is the the Faithlife Study Bible App. It has lots of extras like maps, pictures, and notes on the verses. I was a little hard to figure the app out at first, but once I did, I really like it. There also extras you can purchase to add on, but so far the free version has been more than enough. I also use the website new.studylight.org often. Thanks so much for all of the other comments and this post, I will definitely be looking at these tools! I’m so thankful for you and your blog, Melissa! I just posted this to our women’s Facebook page. 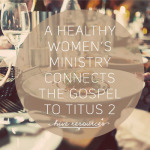 I want our women’s ministry to know Christ and make Him known. Thanks for your encouragement to pursue this! thank you all so much! I love all of your resources. And use many of them myself. I started my study, deep study of the Bible with Bible Study Fellowship about 32 years ago. And Kay Arthur’s inductive Bible study method… And made that my own as well. I love to use the Strongs concordance as well. God’s word is so rich and using Strongs to get to the depth of the passage is always a delightful adventure! And the Bible apps today are so rich and helpful. As a teacher I have learned that making my thinking visible, as I go through a passage or a book with the women I share in study with, is vital. 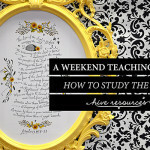 When teaching, I use an “I do, We do, You do” type of rhythm… I show them how to “talk to the text,” how to question, compare, contrast – the word of God is so rich and our hearts and our minds and souls just want to connect to it so badly. I am genuinely seeing more and more young women enthralled with the word of God and want to understand, apply it and fall more deeply in love with it. What I’m wonderful blog post! You have certainly encouraged me! God bless! Hi! I was pinteresting, and ran across the beautiful Easter “treeditions” eggs you shared last year. I can’t find ANYTHING else on the web to connect me to that publication, most likely due to spellcheck :-), and was wondering if you could please point me in the right direction? I’d love to incorporate those in my Sunday school time this week! Thank you! So excited to have “stumbled across” this website today. 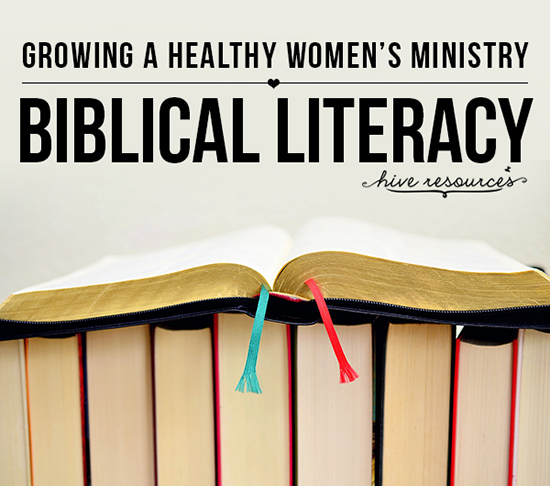 I am so passionate about seeing women equipped to handle the Bible and study it with others. Praying for wisdom and grace to know how to try to move forward with this in a challenging cross-cultural situation with a history and culture of one man leadership and passive learning. I am meeting women who could so easily be equipped like this but they lack the confidence and the vision is not always there in their church leadership. Thank you for making me feel I’m not crazy to want to empower these women to study for themselves and learn to lead others. I am so excited to receive your newsletter. 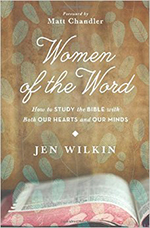 I’ve been praying about starting a Women’s Ministry that would include a bible study and your website has encouraged me to look deeper into your recommendations for biblical understanding and discipleship, which is so very important to building God’s Kingdom. Thank you! Cathy, I am so happy to read your comment! Blessings on your ministry!